Cutting firewood by the semi load is probably the fastest way to stockpile large quantities of firewood. The wood is often referred to as pulpwood, cordwood or a loggers cord. Even though it's a lot of work, it's a lot cheeper than buying seasoned firewood that's been cut, spit and delivered. 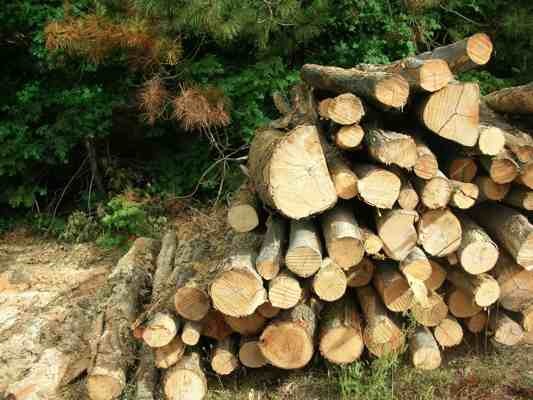 If you burn a lot of firewood each year and you don't mind cutting it yourself, buying firewood by the semi load is a great way to acquire a lot of wood at a decent price. How much can you expect to pay for a load of firewood that's delivered on a semi? Prices will vary by location, hauling distances and fuel prices but on average a 10 cord load of firewood will cost around $750-$950. Buying larger quantities at a time, like 20 cords, will even save you more money. Typically a 20 cord delivery will cost around $1400 - $1600. It may seem like a lot of money, but 20 cords is enough to last the average homeowner 2-3 years or maybe more depending on how much firewood you burn. The quality of the wood and the service will change with each company. Sometimes it's worth paying a few extra dollars to buy from a reputable company in your area. Choose a location to have the wood delivered to that's easily accessible for you and the truck driver. Also choose a location that receives a lot of sunlight because the wood will slowly season as you spend days, weeks or months cutting it up. If the truck has a grapple, ask the driver to lay down runners and then stack the logs on top of those. Most companies will do this automatically. 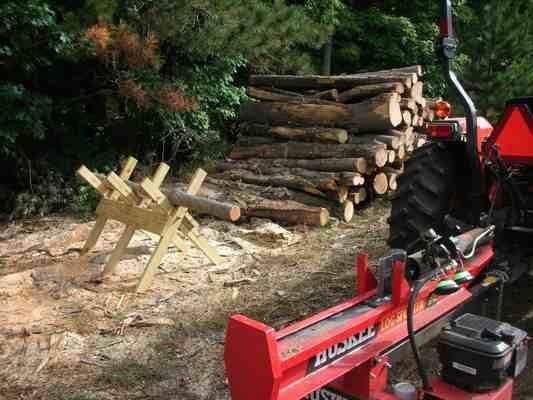 This elevates the wood off the ground and it makes a nice platform for cutting the logs on. 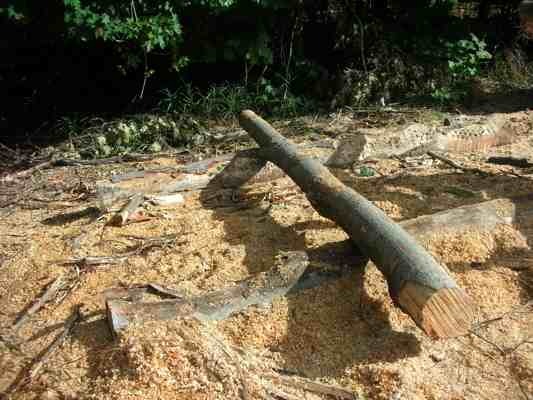 Remember, after you cut up 10 cords of wood it will leave behind a lot of sawdust, bark and debris. If you choose to have the wood delivered in your yard, expect to have a lot of cleanup afterwards. 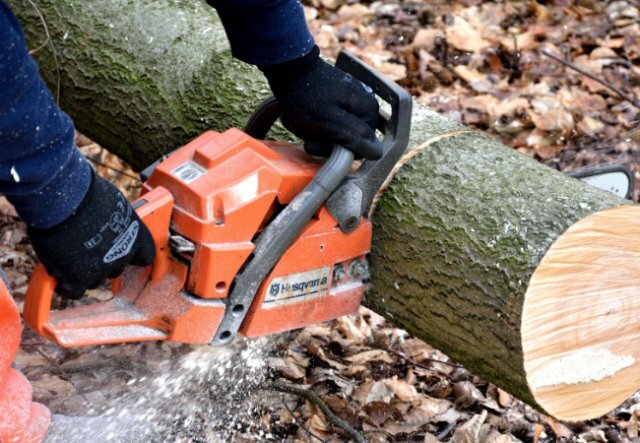 Although a firewood processor is the fastest way to process the 8 foot lengths, most of us will simply use a standard chainsaw. I've worked for years trying to come up with the perfect way to process the wood once it's delivered. For the larger logs it's easiest to leave them on the runners which elevate the wood off the ground. You can simply cut 2/3's through the log, roll it, then finish the cut form the other side. You can also cut completely through the wood that hangs past the runners. Cut the smaller logs on a sawbuck. It works really well if you have someone to help you load the wood onto the sawbuck. 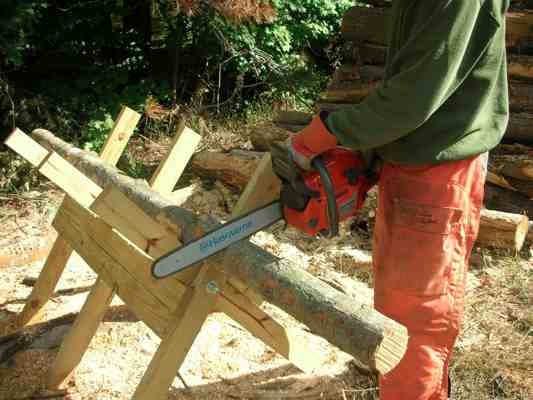 A sawbuck works great for the smaller logs because it prevents them from rolling when you try to cut them. One of the biggest dangers when dealing with large piles of firewood is the possibility of a log rolling off and injuring you. As you can see from this picture, the wood pile is creating a vertical ledge. The logs could shift and fall on you at any time. To help prevent injury, push the logs off the top off the pile to prevent this avalanche effect. Overall, cutting firewood by the semi load is a great way to safely cut a lot of firewood in a short amount of time. Without having to actually fell a tree yourself it reduces the possibility of injury and allows you to have access to firewood without owning acres of land.